A small sized floral posy of spring seasonal flowers including white ranunculus, antique roses, blush anemones and pale pink peris. Perfect to decorate guest tables, the guest signing book table, bridal table, or as a pretty mantelpiece posy vase to beautify your wedding reception venue. 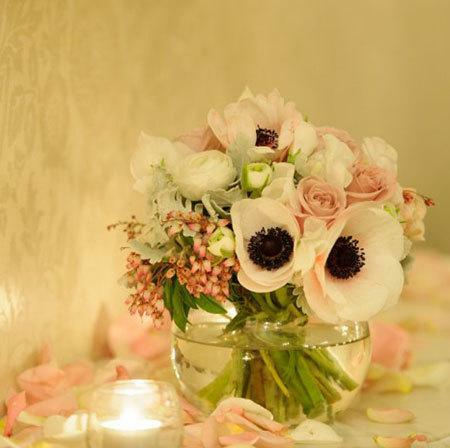 Order your wedding flowers online or click on our online quotation link to customise your design.